If you’re looking for information about the best technical schools in Lagos, Nigeria, you’re just on the right page. Read on to learn more. Technical education is an important foundation of any society. In fact, one of the major ingredients for industrialization is technical manpower and this is vital to economic development. 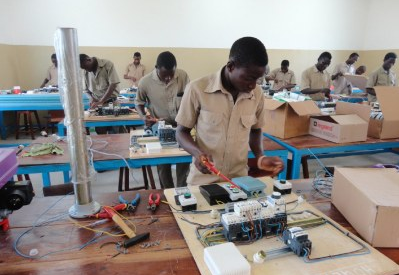 Generally, technical schools equip individuals in specific ways as to improve their technical abilities. Although the duration of the programme in an average technical school is typically shorter than that of a University degree, the training is usually more practical in nature. The Lagos State Government has led the way by establishing top quality technical colleges. The college at Ikotun has been known to produce excellent technicians and artisans. Some of the courses they offer include block laying, concreting, electric installation works and maintenance, furniture craft and mechanical engineering. These courses are full time and take a total of 3 years to complete. FSTC is a top technical school in Lagos which was established in 1948 with just 40 trainees. However, over the years, thousands of technicians have been produced by this college. FSTC is primarily an Engineering college offering courses in Mechanical Engineering, Fabrication and welding techniques as well as foundry craft. Depending on the course type and duration, graduates are awarded any of these certificates – National Basic Certificate (NBC), National Technical Certificate (NTC), Advanced National Basic Certificate (ANBC), Advanced National Technical Certificate (ANTC) and Craft Training Certificate (CTC). The graduate from FSTC such as technicians and artisans often find fulfilling career paths in manufacturing, production, defence and agro-mechanized industries. 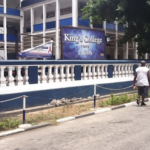 One interesting feature about this college is that it serves as a mentoring ground for students that desire to further their education in a University setting after their program. Their tutors often serve as reliable course advisors. 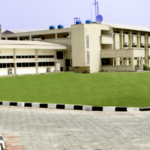 IIT is private male technical school located in Isheri North, Lagos and owned by the African Development Foundation. The school was approved by the Lagos State Ministry of Education in May 2006. The mission of IIT is to provide technical vocational education and training particularly to youths from financially disadvantaged families in order to make them useful their families and the society at large. Some of the programmes offered include: electromechanics, mechatronics and electrotechnics. Electromechanics combines electrics, electronics and industrial automation subjects. 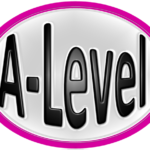 Young secondary school leavers can enroll for this course. On the other hand, mechatronics is a high end automation course that both fresh graduates and experienced technicians can find useful. The duration of the mechatronics course for graduates is 5 months and 2 years for young school leavers. Electrotechnics is another course offered by IIT. It combines electrical, electronics and automation trades and its suited for professionals in the power sector. IIT also offer refresher courses for technicians and engineers. These include courses in pneumatics and valve, electro –pneumatics, boiler and pump maintenance, compressors operation and maintenance. They also have specially designed courses for company staffs which are tailored to meet the peculiar needs of the company. Most times, these customized courses run for just one week. IIT also provides consultancy firms for various industries. 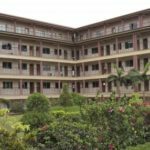 Additionally, IIT offers practical training for students through its partnership with companies like Cadbury, Nigerite, Guinness Nigeria, Promasidor Nigeria, GSK, BUA, Seven Up Bottling Company and many others. This relationship provides IIT students with the right platform for hands on training and practical experience. Generally, when applying to IIT, there are three stages of exams prior to being admitted. The first is the aptitude test, followed by a faculty interview then a management interview. Every year, at least 500 people take part in the various courses offered by IIT and one unique thing about IIT graduates from IIT is that easily secure jobs shortly after graduation. These technical colleges have produced high quality graduates over the years, in the form of artisans, technicians and teachers. This is why we can boldly recommend any one of them should you decided to enroll for technical course. 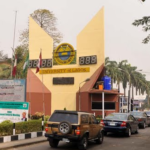 Where in Lagos is UNILAG Located? This great,i would love to apply for this,please update me on full details on how to apply for it through my gmail.Thanks, i will be glad if request is granted. Nice one! Am a graduate with a B.A in history and international relations from Lagos state university therefore as an ART student, please I need your help to choose a practical course for me thanks.